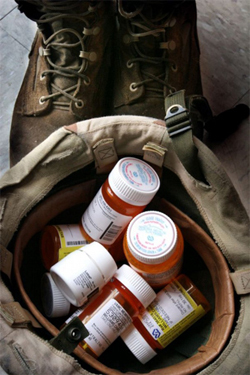 Click here to download and read the CCHR report Massive Fraud — Psychiatry‘s Corrupt Industry — Report and recommendations on the criminal mental health monopoly. 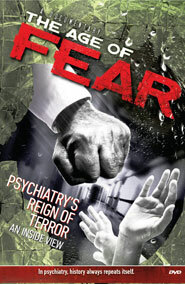 For decades psychiatrists and psychologists have claimed a monopoly over the field of mental health. Governments and private health insurance companies have provided them with billions of dollars every year to treat “mental illness,” only to face industry demands for even more funds to improve the supposed, ever–worsening state of mental health. No other industry can afford to fail consistently and expect to get more funding. A significant portion of these appropriations and insurance reimbursements has been lost due to financial fraud within the mental health industry, an international problem estimated to cost more than a hundred billion dollars every year. The United States loses approximately $100 billion to health care fraud each year, with up to $40 billion of this due to fraudulent practices in the mental health industry. As experience has shown that there are many criminal mental health practitioners, the Citizens Commission on Human Rights has developed a database at www.psychcrime.org that lists people in the mental health industry who have been convicted and jailed. Another major behavioral hospital chain is owned by Acadia Healthcare, which has 586 mental health and substance abuse facilities nationwide. Both these chains capture billions of dollars in Medicaid and Medicare funding in an overall $220 billiona-year U.S. behavioral health industry. An investment banking report estimated the 17,000 mental health and substance abuse facilities in the U.S. represent nearly a quarter of it (combined revenue of $50 billion.) Mental health facilities comprise 2.6 percent ($3 billion) of Medicaid long-term care (LTC), providing psychiatric services for children up to age of 21 and mental health facilities for those 65 and older. Psychiatric Times estimates that between 10 and 20 percent of state mental health funds are lost to fraud, waste, and excess profits to for-profit managed care companies—representing $5 billion-$10 billion. UHS behavioral facilities bring in net revenues of over $4.6 billion a year. Acadia reported a $3.8 billion market value. In 2015, these two companies' 786 facilities represented an 8.3 percent share of the mental health and substance abuse clinics market — 4.6 percent of the total number of facilities. For more information, click here to download and read the CCHR report CHILD RAPES, SUICIDES, DEATHS, AND HUNDREDS OF MILLIONS OF DOLLARS IN HEALTHCARE FRAUD BY THE FOR-PROFIT BEHAVIORAL INDUSTRY — Restoring Effective & Accountable Oversight: What is Needed.